Great Falls, Montana Including:Sand Coulee Ulm Cascade Belt Stockett Carter Floweree. And In Malmstrom AFB Areas: Vaughn Sun River Fort Shaw Simms Fairfield Power Dutton Fort Benton. 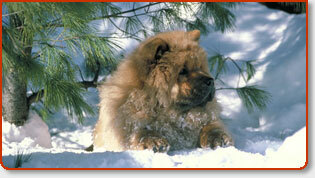 "EiEiO Professional Pet Sitting & Yard Doodie is locally owned here in Great Falls, Montana. We’ve been in Great Falls for almost 20 years and are committed to this wonderful community and the pets we call our own. And, we’re family operated, so you know the care of your fur-babies will have that personal, trustworthy touch!" For poop scooping and all other pet care services, you may pay also by Visa, MasterCard and Discover. They have a fantastic website that all prospective clients should check out. Featuring 10% discount when you feed Life’s Abundance Premium Pet Food. No contract agreements to sign! Refer a friend and receive one Yard Doodie clean on us! Yard Doodie is guaranteed with our Doo-Over Guarantee. If you’re not satisfied or we “missed a spot” we will refund your regular clean-up fee or we hope you’ll simply allow us to return for a Doo-Over (please see site for exclusions). Yard Doodie is also available for commercial clients. Call for a custom quote. The list of additional pet care services are impressive by this company and they have not overlooked the value and support from all their poop scooping clients over the years. They offer pet sitting, dog training, pet supplies delivery, farm animal care..and the list goes on. Don’t feel bad if your back or front yard is completely invaded with Doggy Poop. It’s our job to take care of that for you. We know it’s a “crappy” job but it still has to be done and let’s be honest here.. Do you really want to go out and scoop up dog poop? You are busy, you rush home after work, “pooped” after a long day, and the last thing you want to do is pick up doggy poop, but you can’t help but notice the little doggy nuggets all over the place and they keep growing every day. Sure, you have picked up after your dog(s) but if you truly enjoyed it, you probably would not be here reading this and looking for us. Montana Pooper Scoopers offers professional animal waste removal at a price everyone can afford. 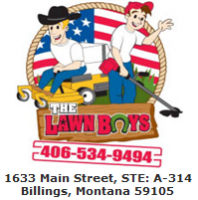 We are currently servicing the Missoula area. We offer weekly or one-time residential service. Commercial accounts are also available--call or email today to schedule a free estimate! We are a licensed and insured dog poop scooping pet care business. All scoopers have had background checks to ensure the safety of your pet and your property. If you own dogs, then this is possibly one of the best gifts you could possibly ever give yourself as well as your dog’s and children’s play areas. You know how frustrating it can be to come home after a long week at the office and have your weekend backyard romp with the kids and dogs rudely interrupted by some hidden “canine landmines.” Describing stepping in dog poop at your own home while trying to enjoy a pool party or afternoon barbecue as “uneventful”, would be a slight understatement. I strongly believe that the word “unnecessary” is more fitting now that we have the pet services of a couple hundred professional pooper scooper companies offering this unique service through out the U.S. where only a short time ago you simply couldn’t find anyone to contract to do this filthy poop chore. Enter the Montana professional pooper scooper. They take crap, so you don’t have to! Literally. Professional dog poop pickup service companies go anywhere your dog goes. Matter of fact, as availability and public awareness of this unique service has grown, pooper scoopers are finding themselves regularly servicing larger commercial properties in addition to their routine residential homes. As a result, many of these dog waste removal services continue to branch out and are now even successfully securing contracts with larger corporate properties. Homeowners associations, property management companies, municipal parks, apartment complexes, as well as “pet friendly” condos are but a few of the commercial size properties that are now securing and benefiting from these dog waste removal companies. Simply put, professional pooper scoopers in Montana will take their services anywhere a dog decides to make his messes. Worth noting, if you are a residential homeowner that cares for a cat, however finds cleaning up the cat litter box to be the least desirable aspect of feline ownership, no need to worry-help is on the way. For customer convenience and time savings, many professional pooper scoopers also offer cat litter box cleaning and exchange services along side their dog poop pickup services.